From the Traditional Collection. 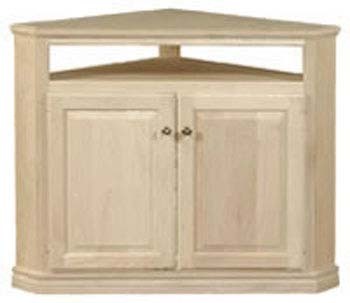 Features: 2 Solid Wood Raised Panel Doors, 1 Lower Fixed Shelf, Component Shelf, Distinctive Moulding, Solid Wood Face Frames, Concealed Adjustable Hinges, Burnished Brass Hardware. 5.25 inch Return Sides, 33 inches from corner, 37.5H, 23.25D.